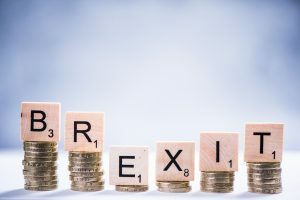 Share the post "Forex trading and the Brexit endgame"
The currency markets are, by definition, acutely responsive to international geopolitical interactions. When there are changes in the ways that nations and trading blocs do business, then these almost certainly have an effect on forex exchanges, whether it means increasing volatility or a period of relative calm. What has come to be known as “Brexit” is the historic event of the United Kingdom (UK), the world’s fifth-largest economy, leaving the European Union (EU), one of the biggest trading blocs. The UK’s exit from the 28-nation-strong EU has been having severe knock-on effects for currency markets ever since the withdrawal process began almost two years ago. With the Brexit date of 29th March 2019 drawing ever closer, there is still uncertainty and volatility affecting both the pound and the euro. What can forex traders expect as the Brexit endgame plays out? These types of catalysts are actually quite common in forex trading. They are “Black Swan” events, named after former trader Nassim Nicholas Taleb’s 2007 book, The Black Swan. He theorised that improbable, unlikely or unforeseen events that have massive consequences are a thread that runs through history, and they can have either positive or negative effects. To many, the outcome of the Brexit referendum was such an event, as the “remain” side polled as being in the lead right up until the announcement of the result. This led brokers to issue warnings about raised margin levels and the possibility of an emerging volatile trading environment. With so little time left until the actual exit date, much uncertainty still abounds, even though a deal has now occurred between the 27 EU leaders and UK Prime Minster Theresa May. The deal still has to receive approval from the British Parliament, and the disagreements between the factions of “leave” and “remain” are still raging. To make matters even more complex, there is not a clear split along party lines. The two major political parties, Conservative and Labour, are both divided and have strong voices calling for different courses of action. The vote in the House of Commons should take place in mid-December, and the outcome is still very much unpredictable. Until this time, the volatility of the pound in particular will likely follow its recent ups and downs, meaning that CFD traders looking at short-term trades could have a field day. Market moves up until now have shown that the pound tends to strengthen with the possibility of a “soft” Brexit and weaken when a “’no deal” or “hard” split increases in likelihood. In recent months, the splits at the heart of the UK Government have become apparent through a series of high-profile resignations. Prominent so-called “Brexiteers” such as David Davis and Boris Johnson left the Cabinet several months ago, and more recently, Davis’ replacement as the minister in charge of negotiating with Brussels, Dominic Raab, also left his position in protest. The impact that these resignations had on the pound was significant because the departures increased the odds of a challenge to May’s leadership, and increased volatility occurred due to the political risk. If UK policymakers reject the deal put on the table by both the UK Government and the EU, then the situation could grow into a full-blown constitutional crisis. This might mean a change of leadership for the Conservatives and therefore the appointment of a new Prime Minister, or it could lead to a general election with the possible change to a Labour Government. With many voices calling for a second referendum, there is even the chance that Brexit will not take place, allowing the UK to remain in the EU bloc. The Bank of England (BoE) has so far stayed out of the picture overall but would be likely to step in if a potential economic meltdown becomes a threat. The BoE would look to shore up the pound in various ways. Forex traders need to look out for signs on which way that the wind is likely to blow because highly speculative and volatile events such as Brexit can be fertile ground for CFDs. Although many traders in this situation may look to significantly reduce their risks, the movements in the pound and euro and the effects on the US dollar can provide opportunities for those willing to use their skills and knowledge in a fast-moving market. The fate of the pound in the months ahead is complicated by the desires of many of the major players involved. Those who want to see a free-trade-based economy open to doing deals around the world may want the UK’s currency to fall so that investing in the country becomes more attractive. Meanwhile the BoE may take actions with interest rates that have the opposite effect on domestic investors, who would then look elsewhere. Ultimately, the next few weeks in the run-up to the vote in the House of Commons are likely to be tumultuous, and the final decision regarding the deal’s acceptance or rejection is very hard to call. In general terms, no markets like uncertainty. The initial shock of the Brexit referendum led to investor worries for the pound not seen since Black Wednesday. The longer that this rollercoaster split goes on, the harder the hit that the pound may take. What is certain is that if Parliament throws out the deal, then all bets are off, and anything could happen.